Generally speaking, reflective insulation is good for keeping heat out, and bulk insulation is good for keeping heat in. Bulk insulation is, as the name suggests, the bulky kind. It's mainly used to prevent the transfer of heat through conduction and convection, using pockets of trapped air or another thermally resistant gas to resist the flow of heat. Bulk insulation has virtually the same amount of heat resistance regardless of the direction the heat is flowing in, which makes it great for protecting ceilings and walls. Bulk insulation allows you to trap heat inside your home when it's cold, and prevent it from getting in when it's hot outside. Reflective insulation normally consists of a layer of foil backed by paper or plastic. It protects against heat produced by radiation, bouncing the heat back. Reflective insulation needs a layer of air next to the shiny side to work properly, as there has to be somewhere for the heat to go once it’s been bounced back. Reflective insulation has to be kept clean to work properly too – any dust settled on it will make a big difference to how effectively it works. For this reason, the reflective side must be faced downwards or vertically. The R-values for reflective insulation will vary depending on where and how it's installed and what sort of climate your house is in. What differences exist in terms of performance? Reflective foil insulation doesn't have an inherent R-value in and of itself, because it relies on a layer of still air to be effective. Bulk insulation, on the other hand, generally has a fixed R-value for a given thickness of the product (although products like batts and panels often list the total R value for a single batt or panel, rather than a standard value). Foil is much more lightweight, is moisture proof, is easier to install than most other insulation types and won’t provide a home for mould, pests or vermin. 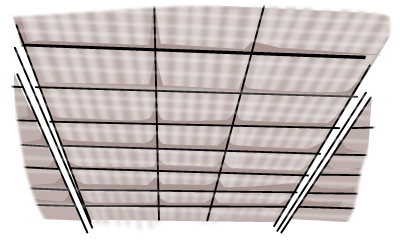 Reflective foil is next to useless as acoustic insulation though, and it becomes far less useful when covered in dust. Reflective foil may cost more than equivalent types of bulk insulation too. Which is better in what situations? Reflective foil insulation is ideal in warmer climates to keep heat out. Bulk insulation is better in colder climates to retain heat within the building. In many cases, it's not a bad idea to have both, so you can get the best of both worlds. There are many types of batts available with foil backings to provide reflective insulation, though the effectiveness of the foil layer can be compromised if the batt doesn't allow for a layer of air next to it.